Creatively carved pillar at the centre of the hall. 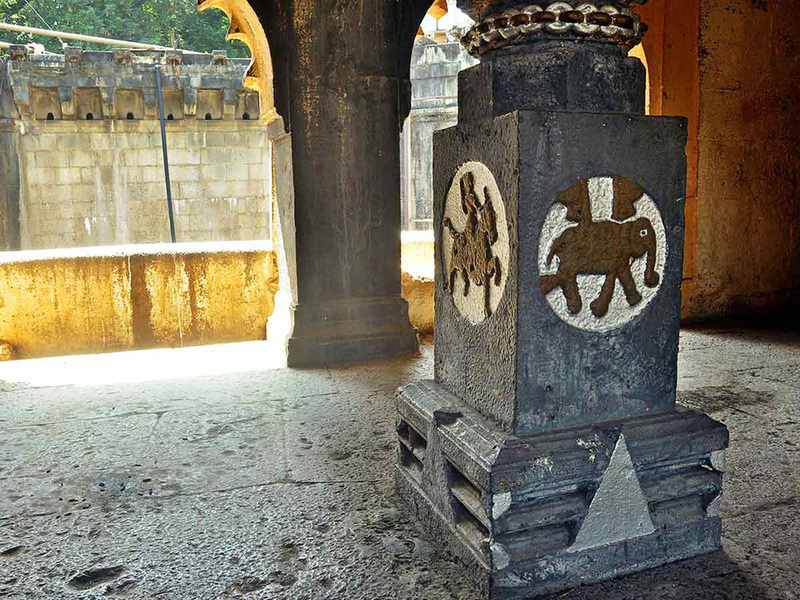 The lower part of the pillar is carved differently with a king riding horse, elephant and motif of flowers. 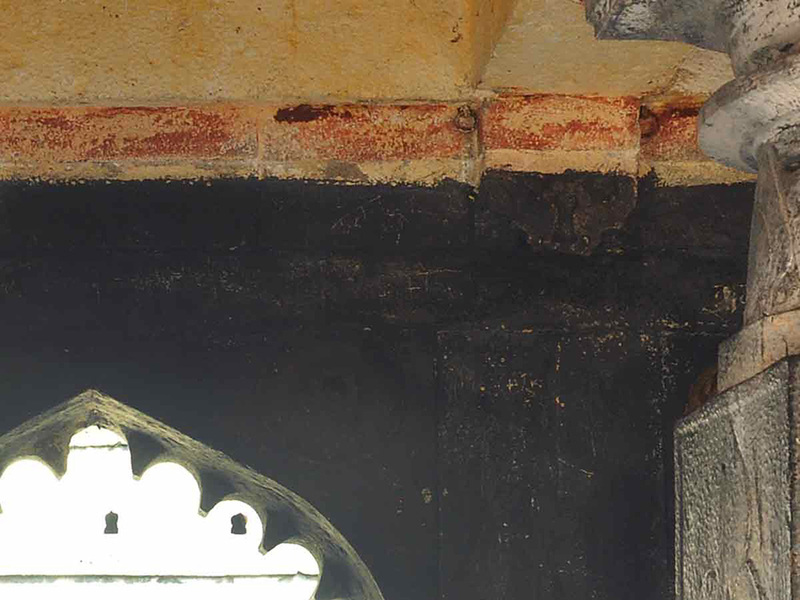 The walls and the pillars were painted occasionally in the shades of grey, Brown, Orange, yellow and metallic colours. Creatively carved pillar at the centre of the hall. 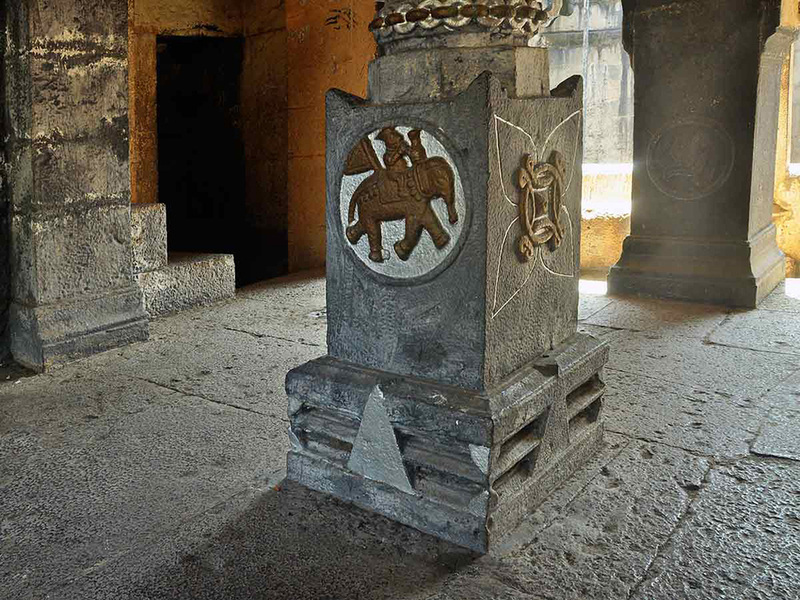 The lower part of the pillar is carved differently with a king riding elephant and motif of flowers. 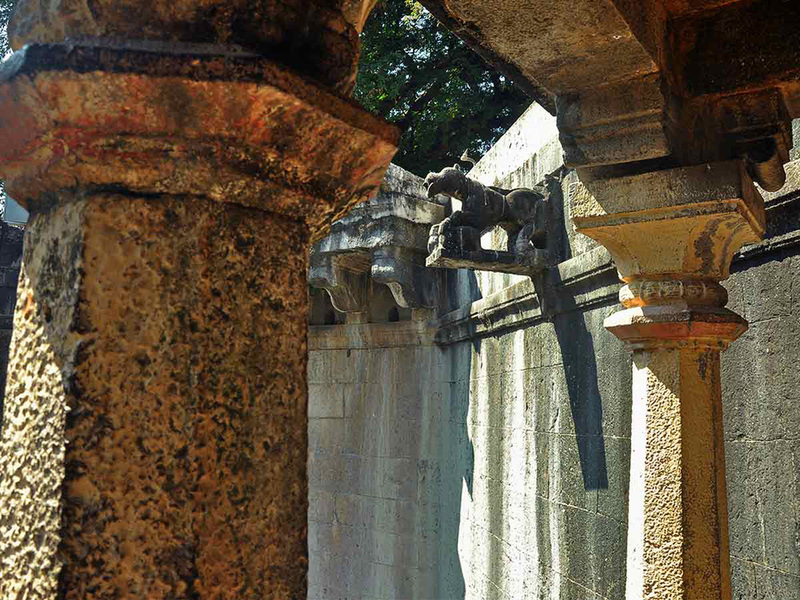 The walls and the pillars were painted from time to time in the shades of grey, Brown, Orange, yellow and metallic colours. The metal rings can be seen at the corner near the ceiling, which was the armament to hold the curtains at the widows. 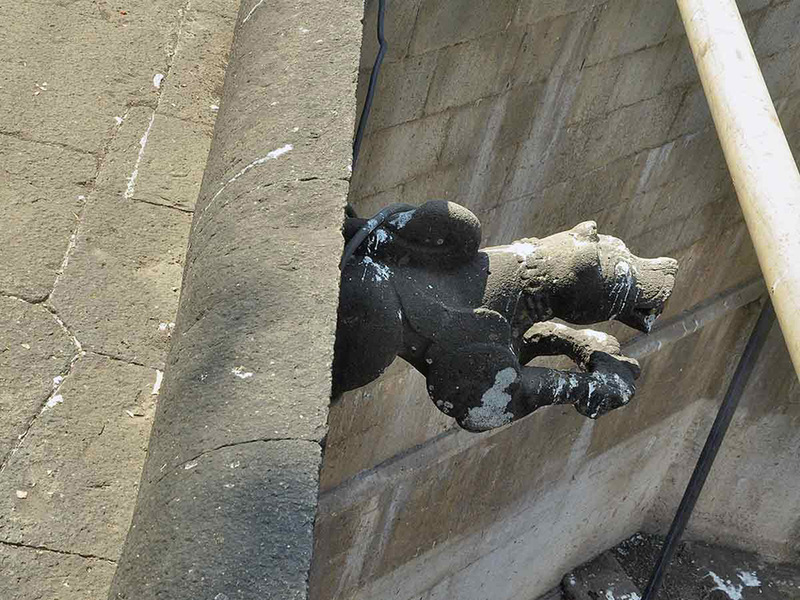 This is the view of a sculpture of south facing tiger from the gallery in the palace. 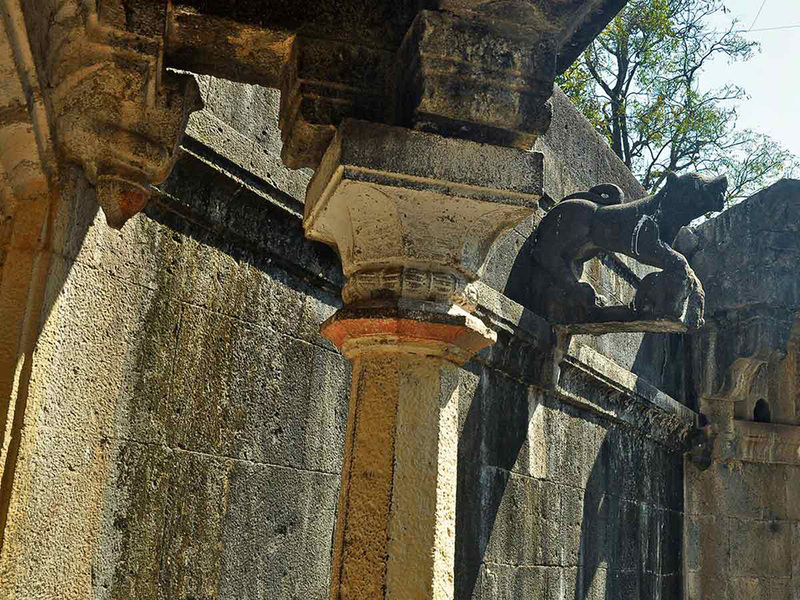 Two sculptures of a tiger out of four on the inner side of the octagonal well are south facing. 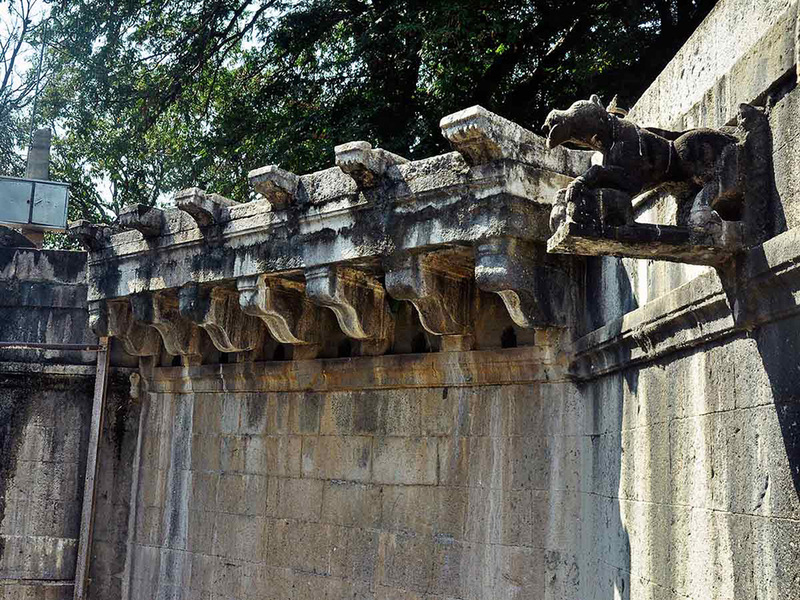 Two elephants are carved under each of the tiger, which depicts the victory by the king at south. 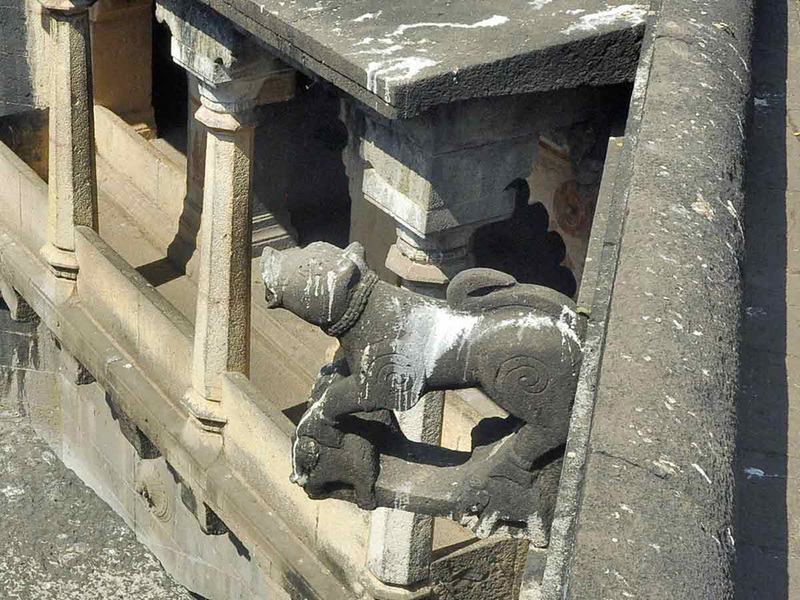 Two sculptures of a tiger out of four on the inner side of the octagonal well are north facing. 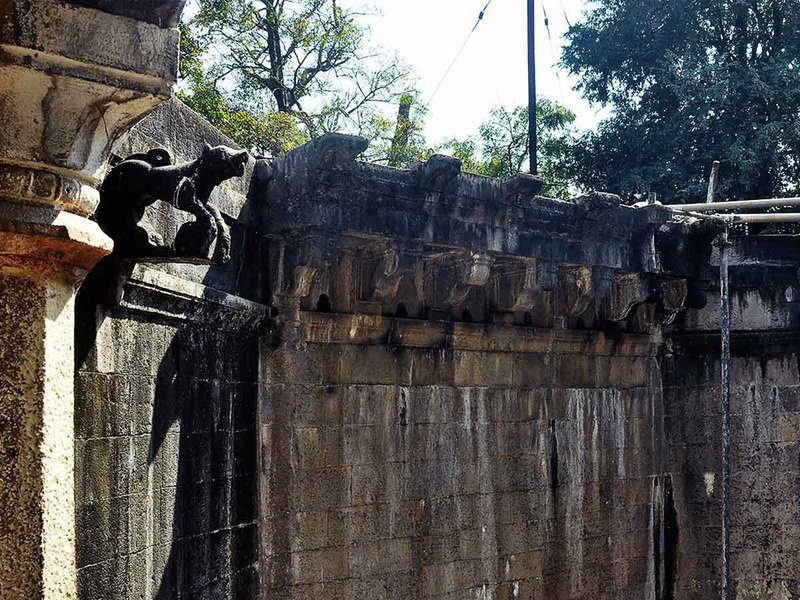 These two tigers are in the pose of jumping high, which depicts the king is about to move towards the north to conquer it. 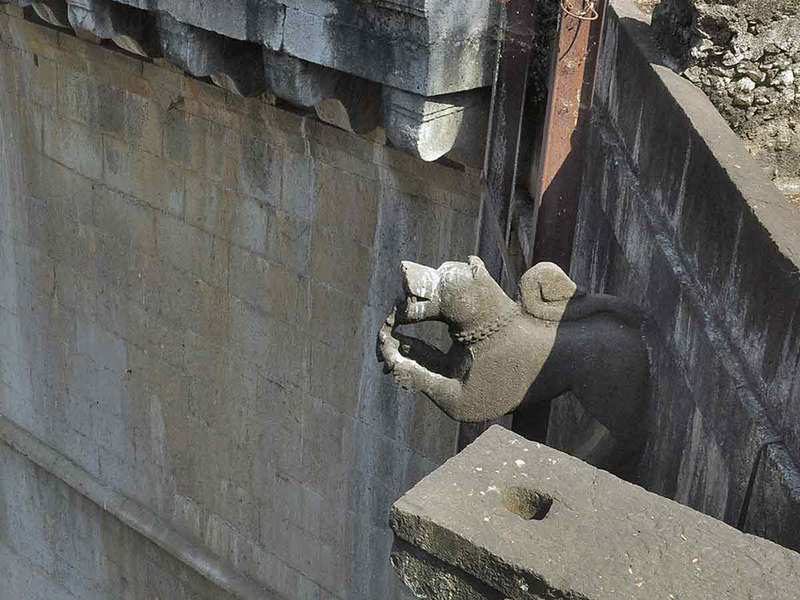 This is one of the sculptures of the north facing jumping tiger. The artist during that time has done a good work in terms of the finishing of the sculptures. This is the view from the top of the octagonal main well. 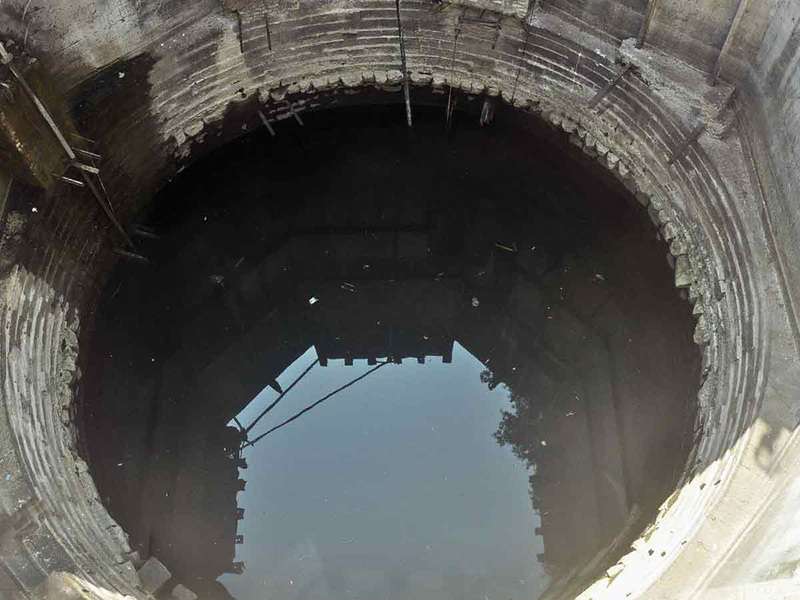 The main octagonal well has the provision of total fifteen moats out of only twelve moats were in use. Rest of the moats were operated rarely. It is fascinating to observe and study the arrangement of this many moats at one place. 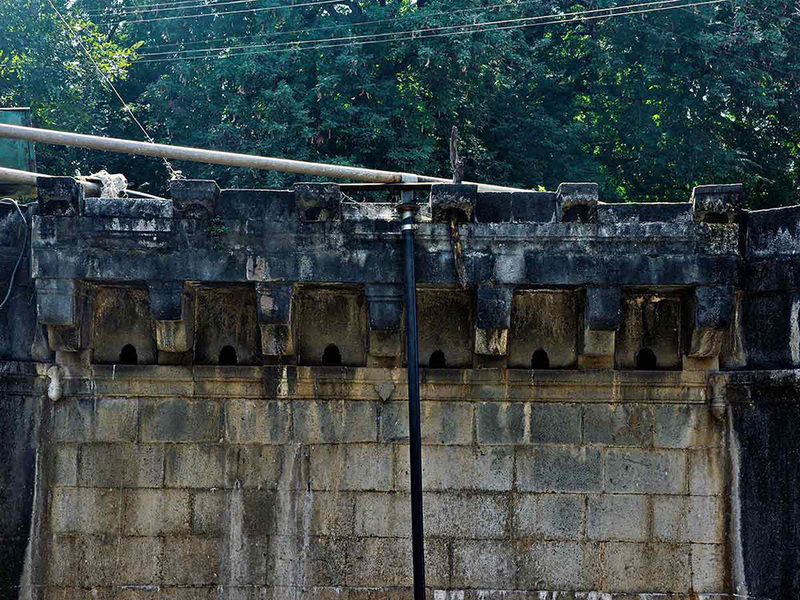 The arrangement of five moats out of fifteen in octagonal well, at right hand side of the palace. The arrangement of five moats out of fifteen in octagonal well, at left hand side of the palace.